1979 Moto Guzzi Le Mans MK II road test. 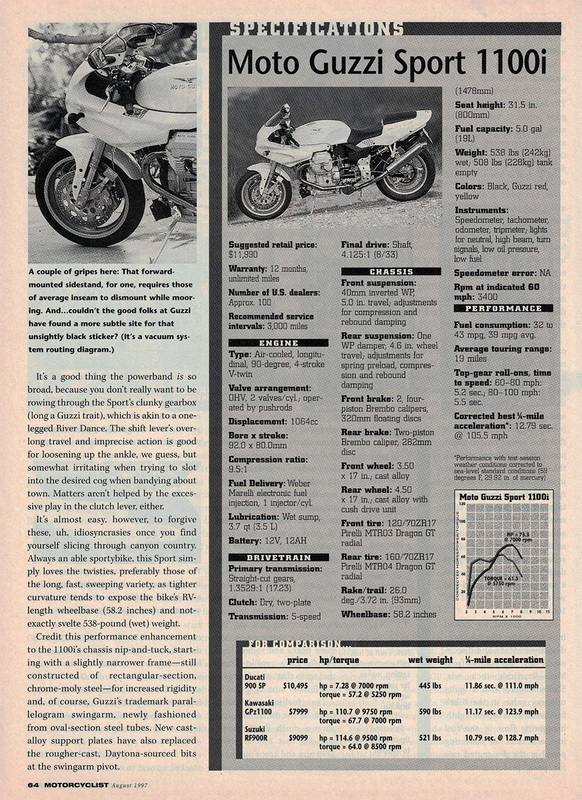 1976 Moto Guzzi T3 850 road test. 1969 Moto Guzzi 750 Ambassador road test. Another one from Kristian - thank you! "Moto Guzzi has zooted up its Sport 1100 with fuel injection and all-new suspension bits, but is that enough to run with Bologna's best?"